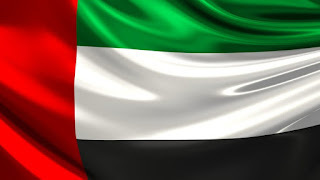 UAE authorities have issued travel warnings for 13 countries and a complete travel ban for a further three. To Qatar, Karabakh (Armenia) and Lebanon. The list is available from the Ministry of Foreign Affairs and International Cooperation and reasons for the caution include the political situation, the security situation and plague. UAE authorities warn travellers against visiting Qatar, Karabakh and the Lebanese Republic, due to political reasons and the political situation respectively. Emiratis are urged to travel with caution to the following 13 countries/parts. Rio de Janeiro, Madagascar, Congo, Yemen, Sudan, Afghanistan, Somalia, Ukraine, Pakistan, Syria, Nigeria (Northern part), Iraq, Libya. Culled From UAE Ministry of Foreign Affairs & International Co-Operation.